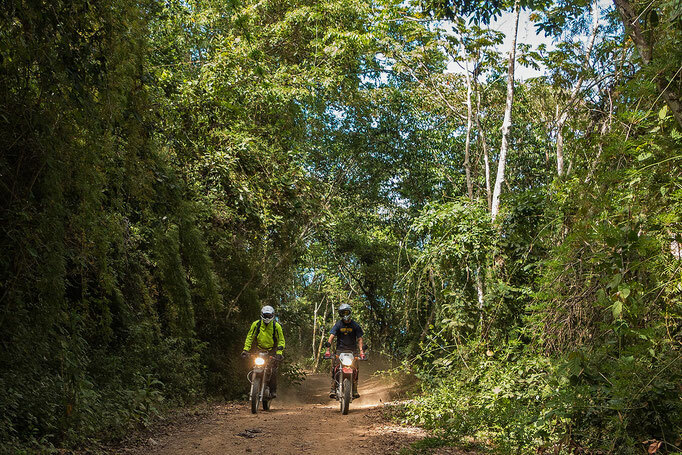 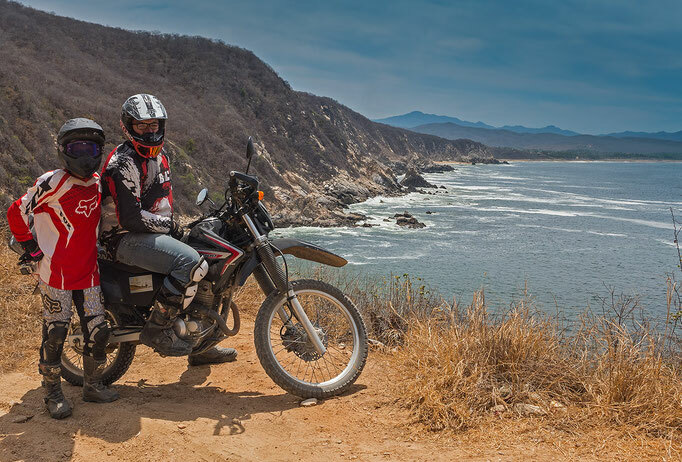 For the Advanced Adventure Rider we offer a 4 days / 3 nights - more off-road oriented - tour with Honda or Suzuki Dualsport bikes through the mountain forests and to beautiful uninhabited beaches. 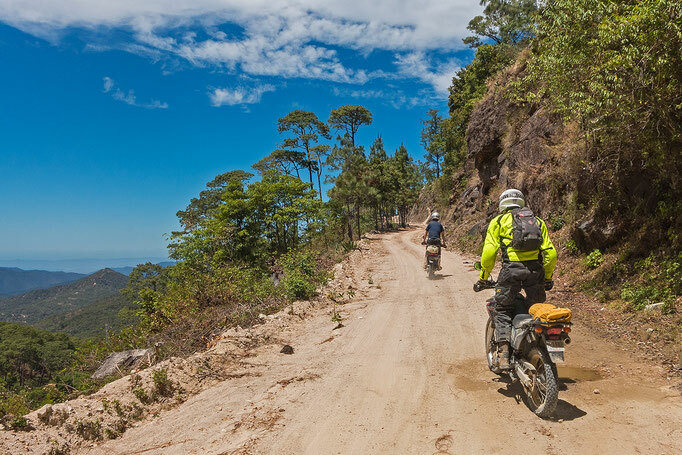 This tour includes roads/tracks that often include sand, gravel, rocks and/or dirt, as well as very steep terrain. 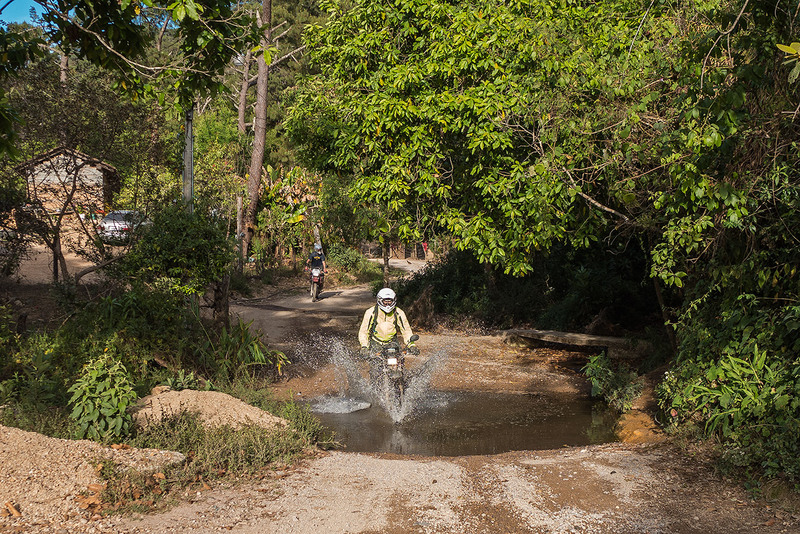 You must know how to ride the bike under these conditions. 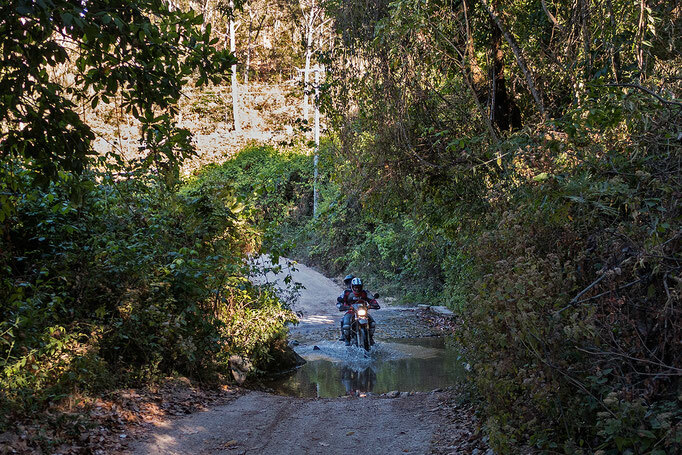 It's a mix of off-road and on-road riding. 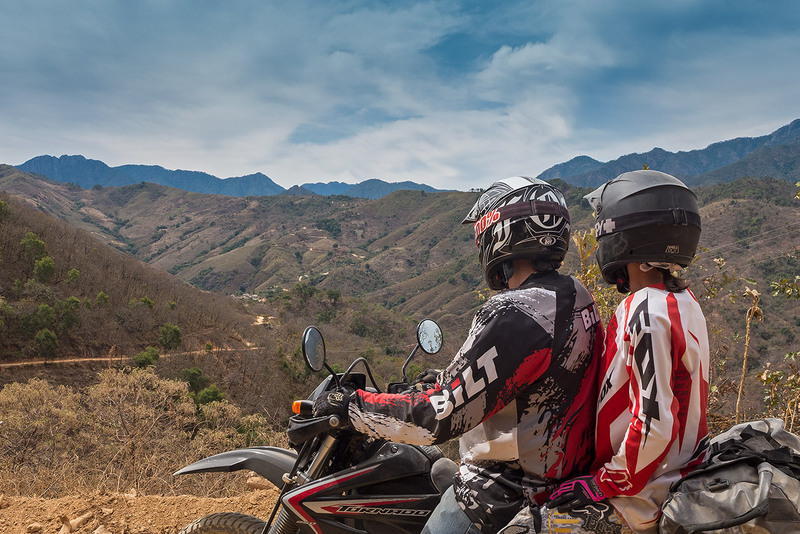 Leaving the city of Puerto Vallarta we ride along the River Cuale to the east, directly into the mountain area. 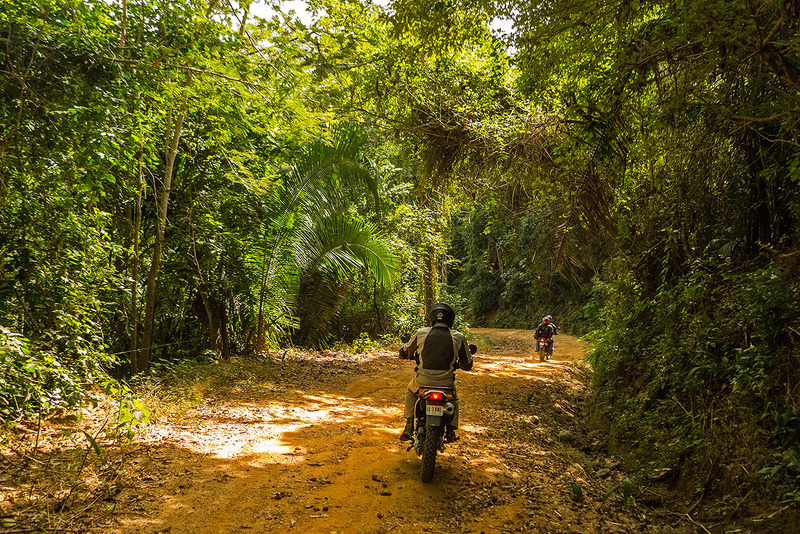 After passing the last houses we climb up on winding dirt roads through the jungle. 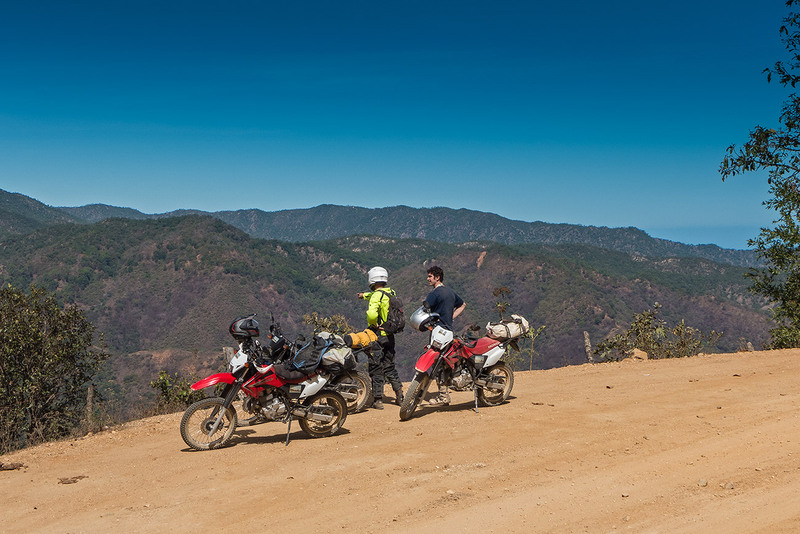 After about 1 hour we are already at 1000 m / 3300 ft altitude where we have incredible views over the beautiful mountain range. 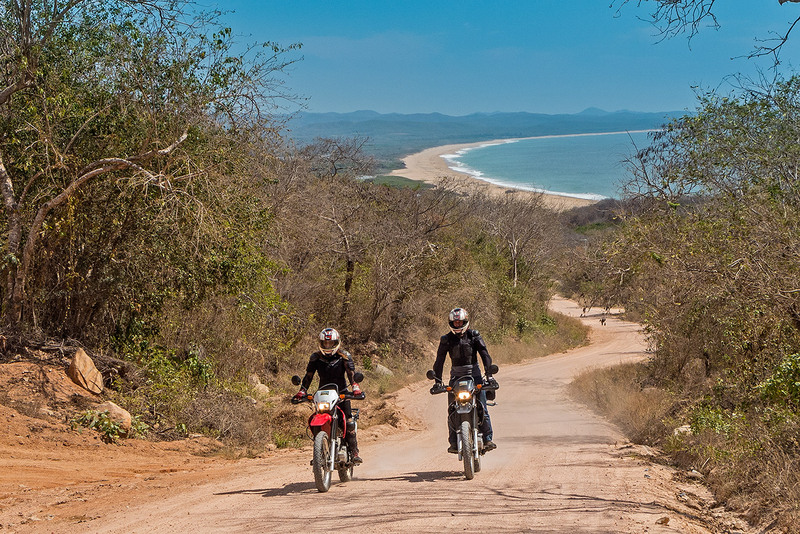 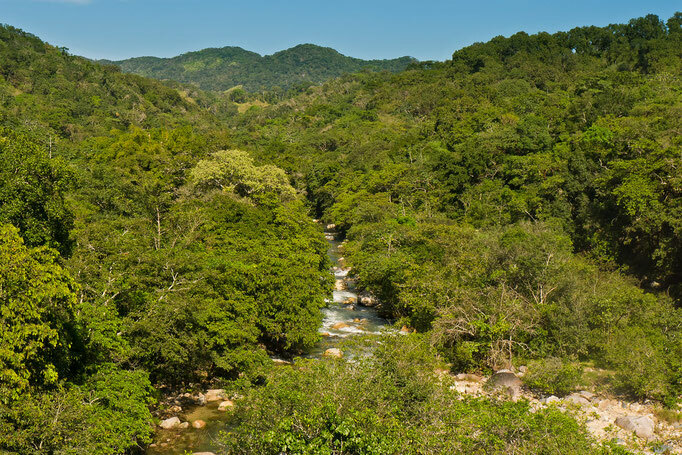 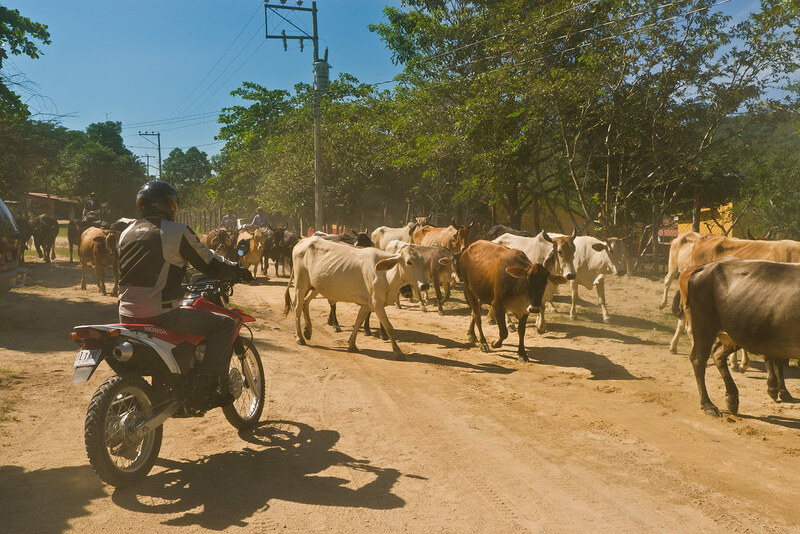 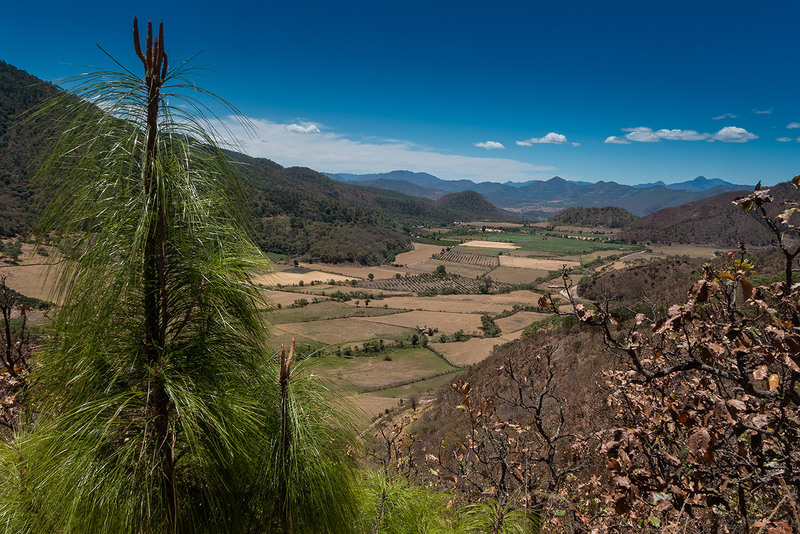 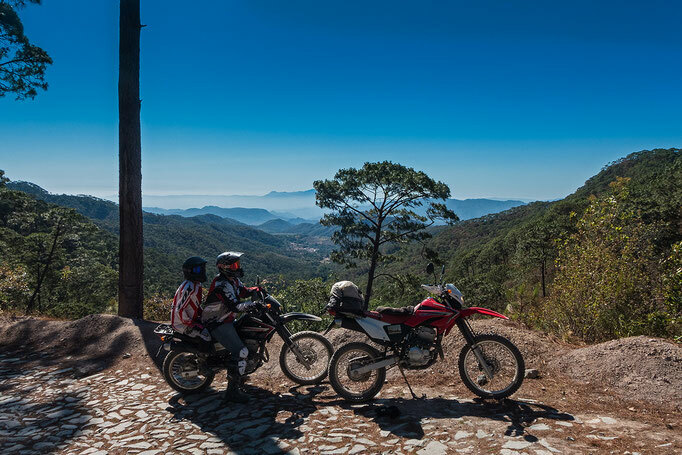 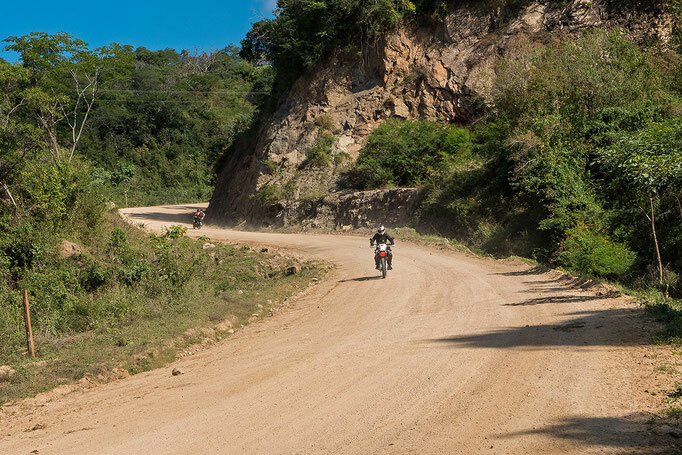 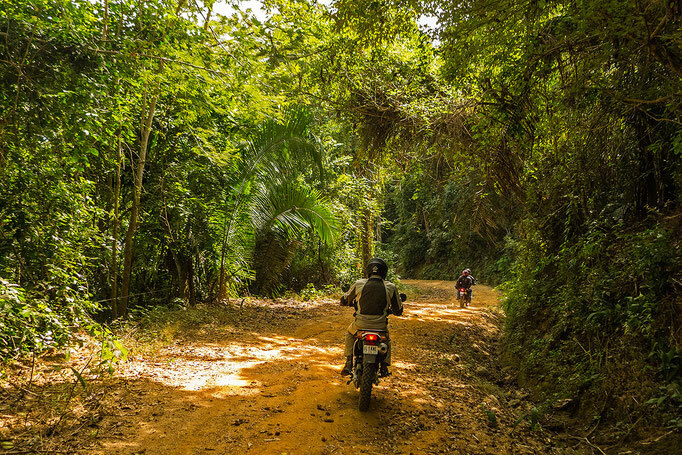 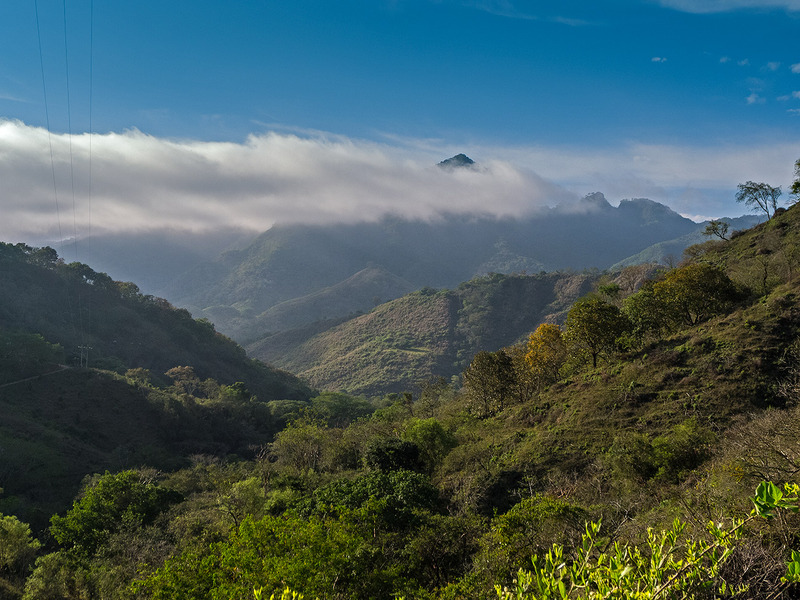 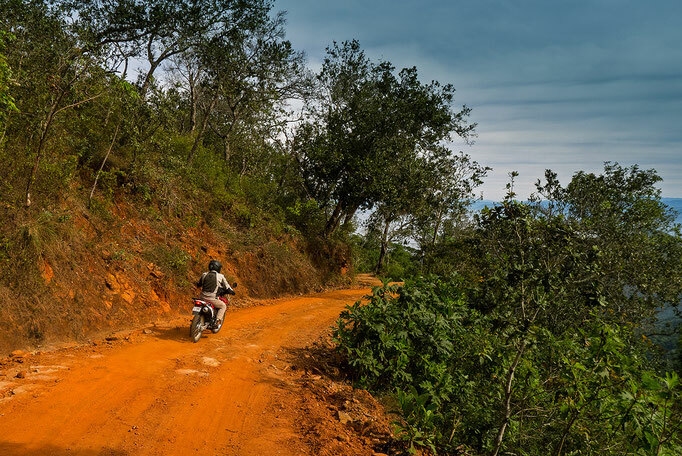 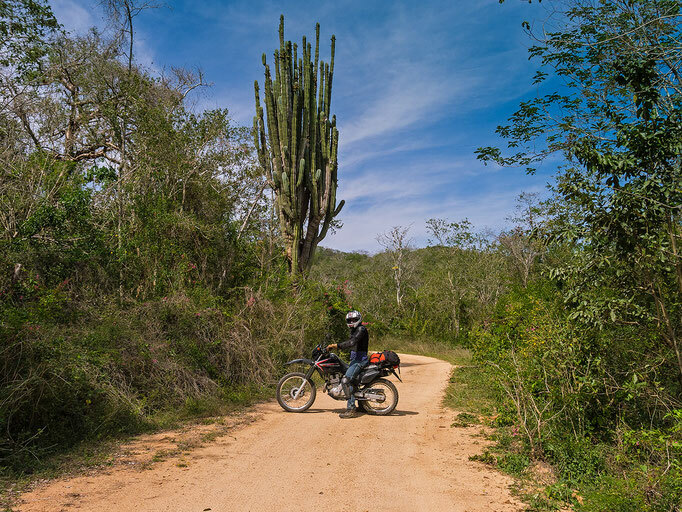 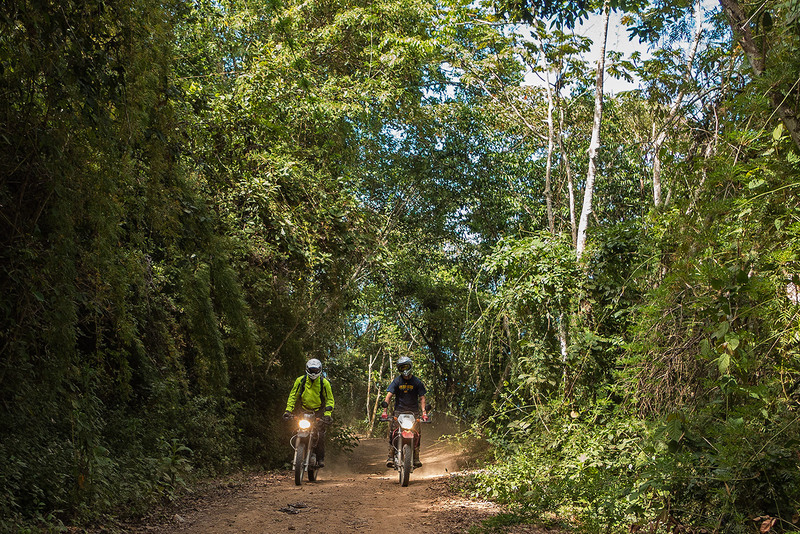 We ride up and down through landscapes similar to the south American Andes to Cuale, a village named like the River Cuale which flows into the ocean in Puerto Vallarta. 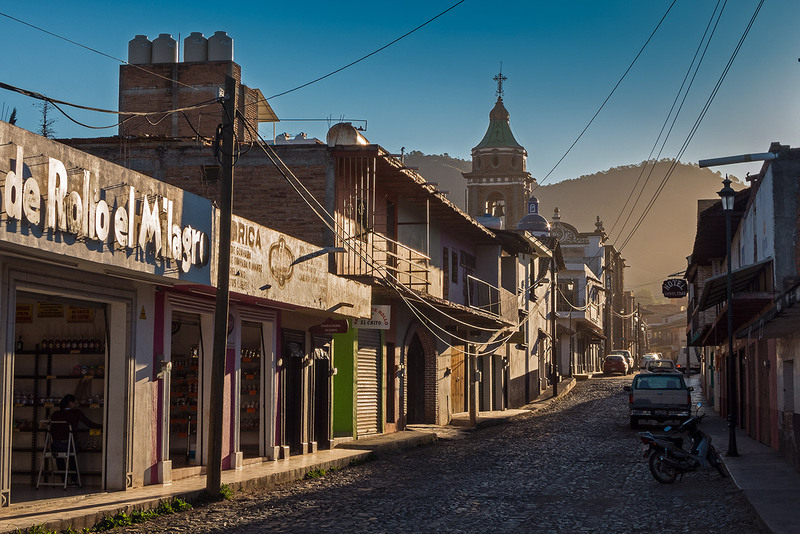 The village is situated at about 1500 m / 4900 ft. altitude. 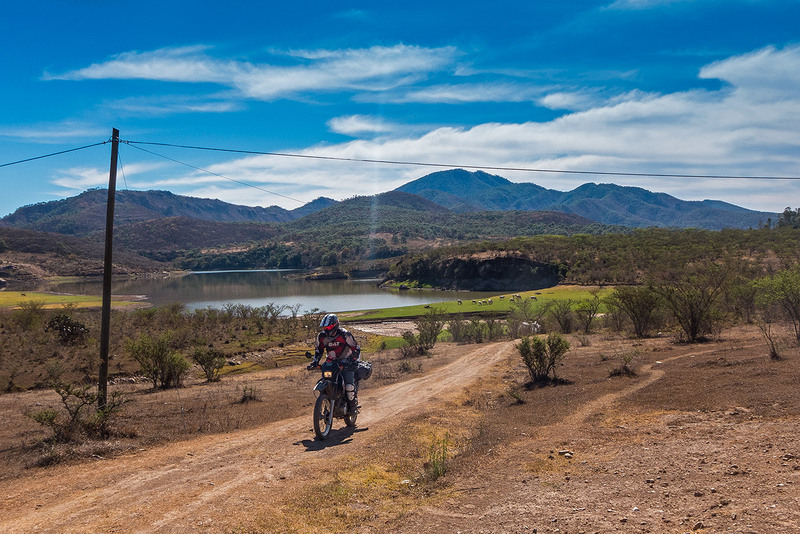 Here we will have our lunch break and time to explore the former mining village. 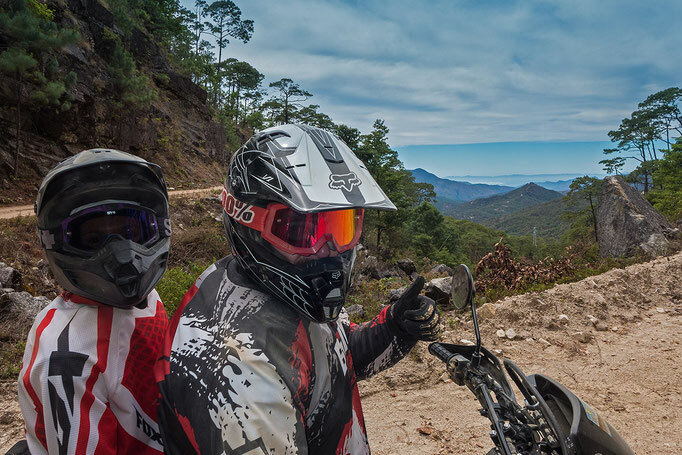 After lunch we ride even higher into the mountain range up to 2500 m / 8300 ft altitude with incredible views over the whole mountain range. 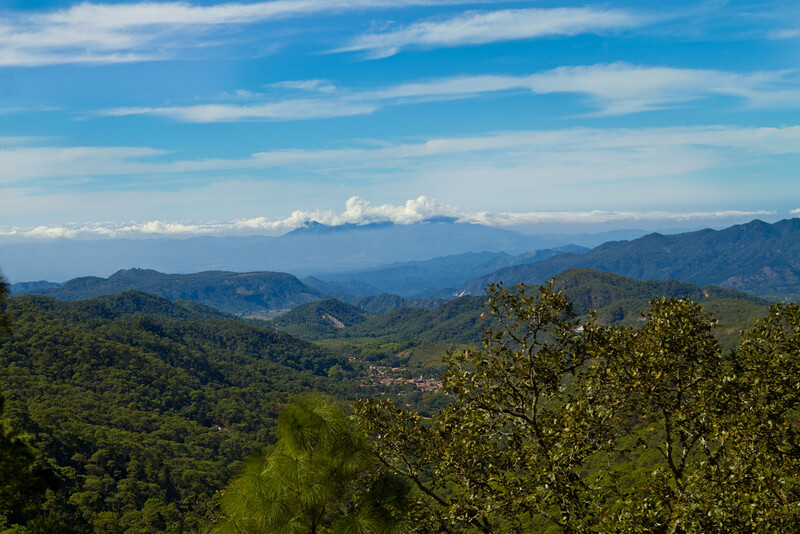 Now it’s time to descend step by step from the high pine wood forest into tropical areas. In the late afternoon we will reach the colonial town Talpa de Allende (1160 m/3800ft.). 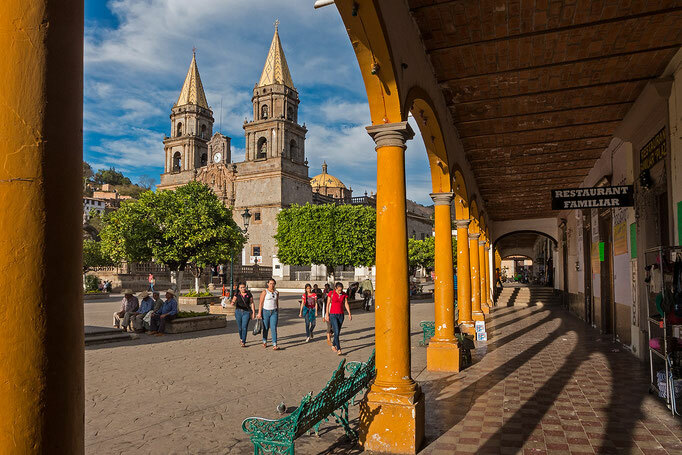 Here we will stay overnight and we have time to explore the beautiful center with the plaza and the impressive cathedral. We leave the valley from Talpa de Allende climbing the hills and leaving the highway to head through forest tracks and dirt roads to a beautiful situated dam, close to the colonial town of Mascota (1200 m/3900ft). We leave the town - going on a loop - to the northeast into the higher mountain area passing different small farming villages and climb again up to 2200 m/7200ft with stunning views over many valleys before we come back to Mascota. 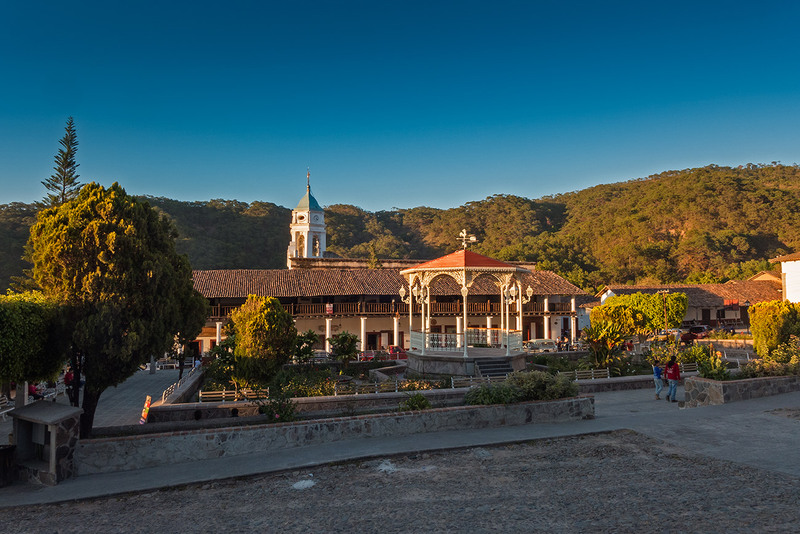 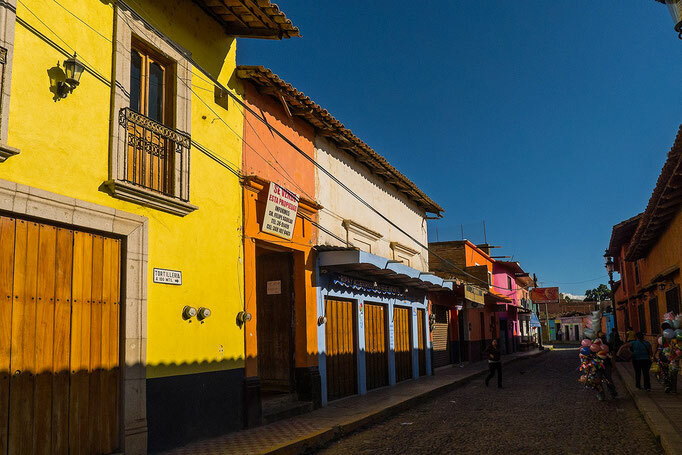 Here we will have our lunch break and time to explore a bit of the beauty of the colonial center of Mascota. 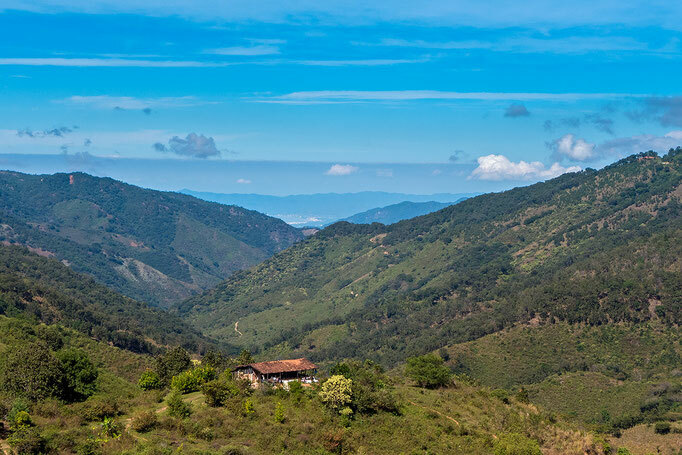 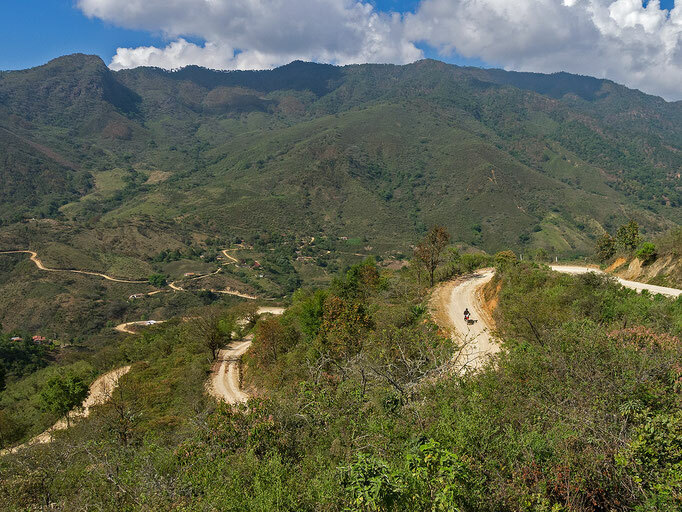 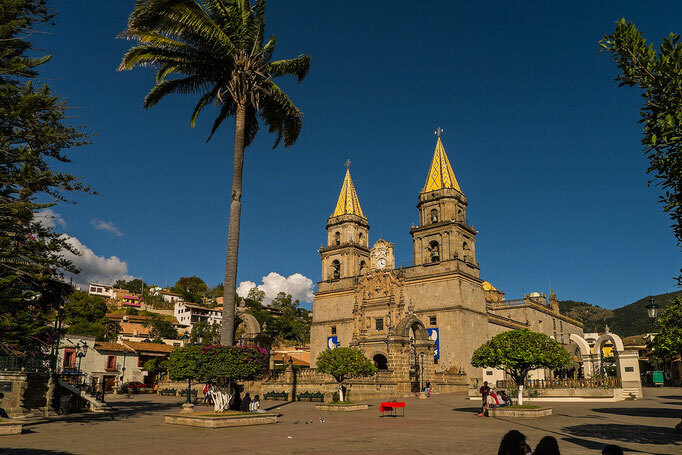 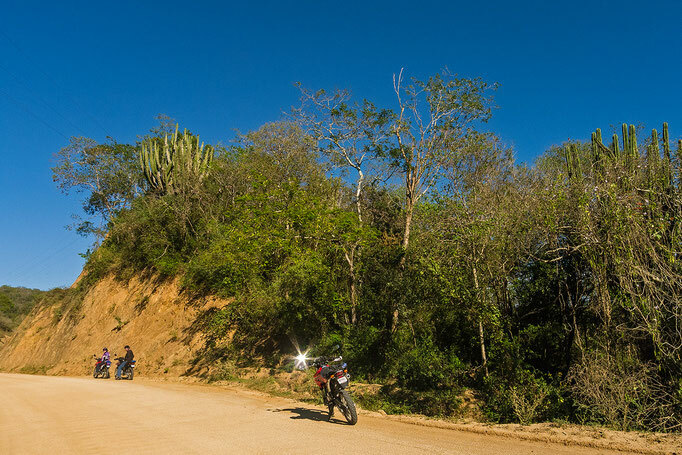 From Mascota we then ride on spectacular roads with hundreds of twisting curves up to 1800 m/6000 ft. to the old beautiful colonial town San Sebastian del Oeste (1400 m/4600ft.). 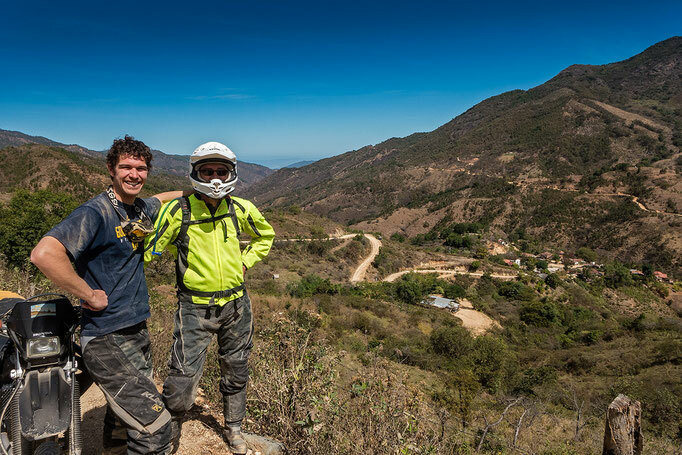 From the main plaza in San Sebastian we take a small dirt track to climb “La Bufa”. This is a mountain peak with 2500 m/8200ft. 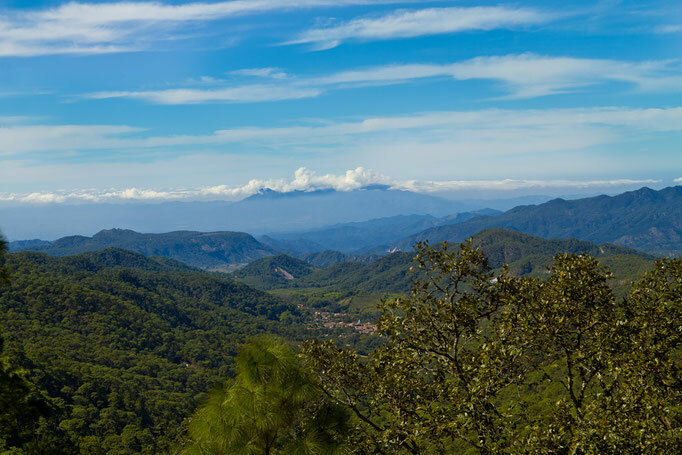 altitude and fantastic views from a nearby viewpoint. 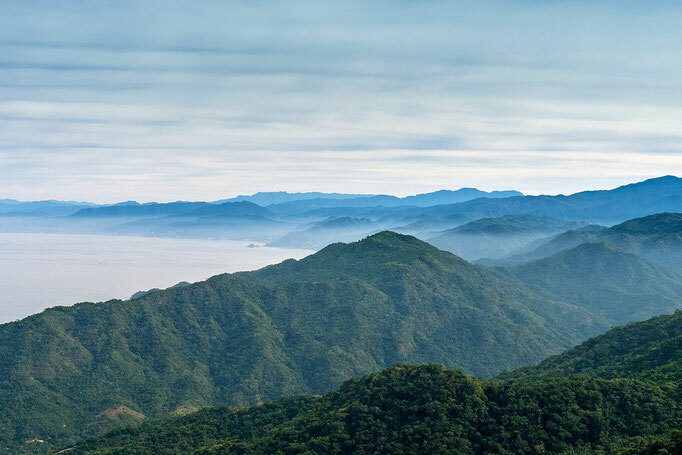 On good days you will have a 360 degree view over the whole mountain range out to the ocean. 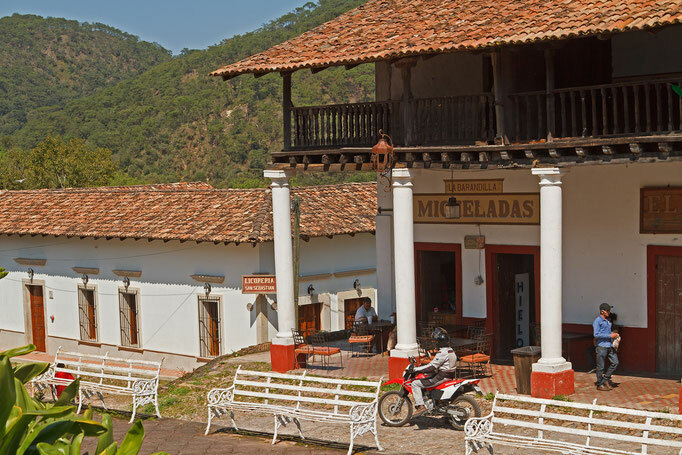 We will stay overnight in an old colonial hotel in the centre of the town. 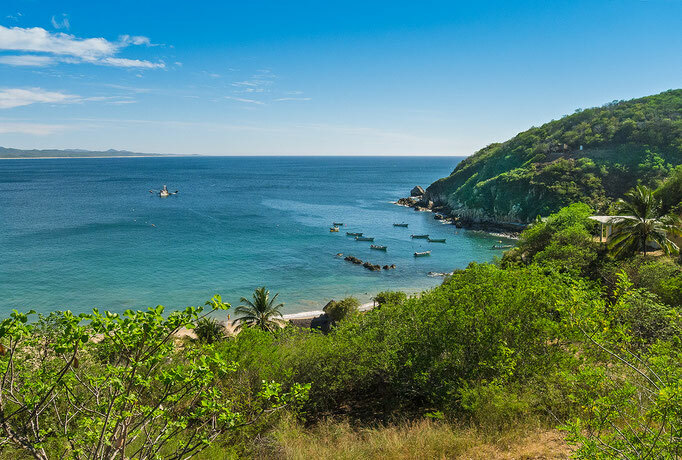 After breakfast we ride back through Puerto Vallarta and head further south along the beautiful coastline with stunning views over the jungle touching the blue ocean. 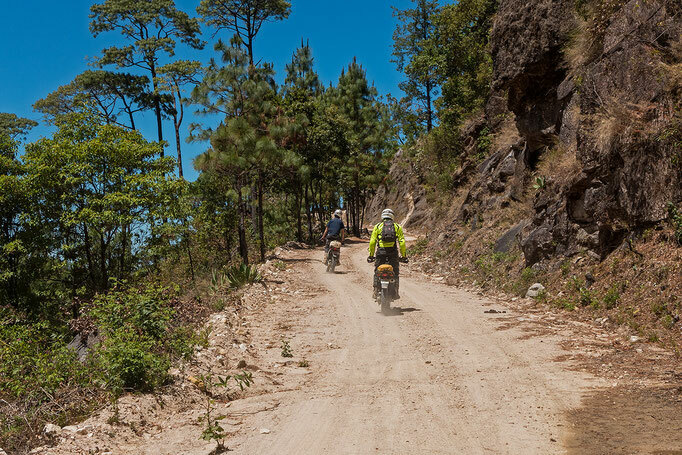 We go inland and ride on twisty mountain roads to El Tuito - an old mountain town where we have our lunch break. 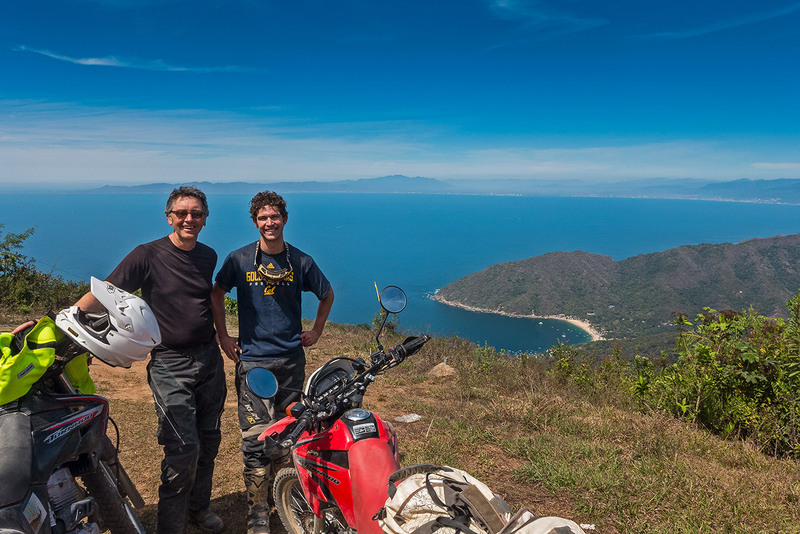 From here we ride on dirt tracks through beautiful forests, small indigenous villages and jungle to a viewpoint where we can oversee the whole Bay of Banderas including the small beach town of Yelapa. 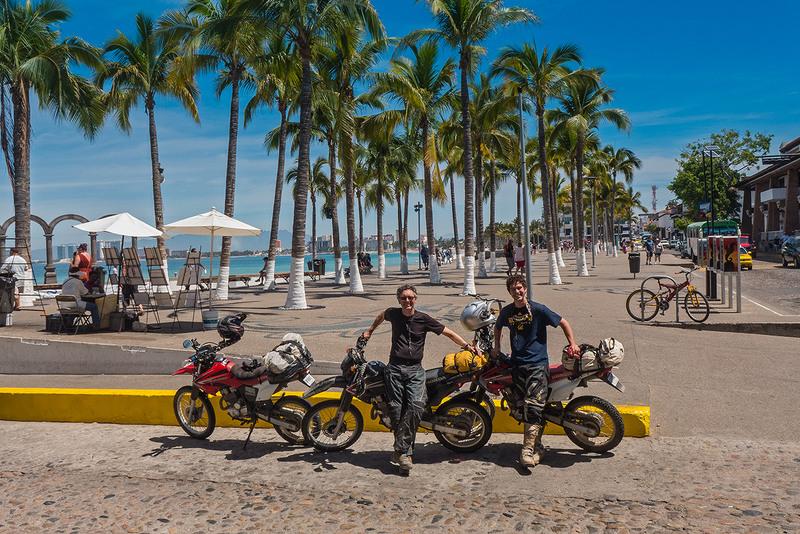 Now it’s time to ride towards the Pacific ocean. 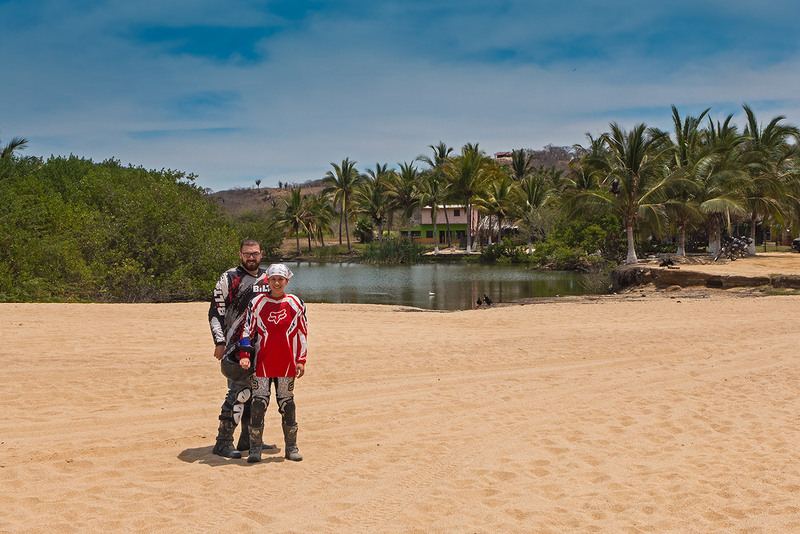 After another 2 hours on dirt and paved roads we will reach our place at the beach. We stay overnight in a small and beautiful Hotel with nice bungalows, directly on the uninhabited beautiful beach. 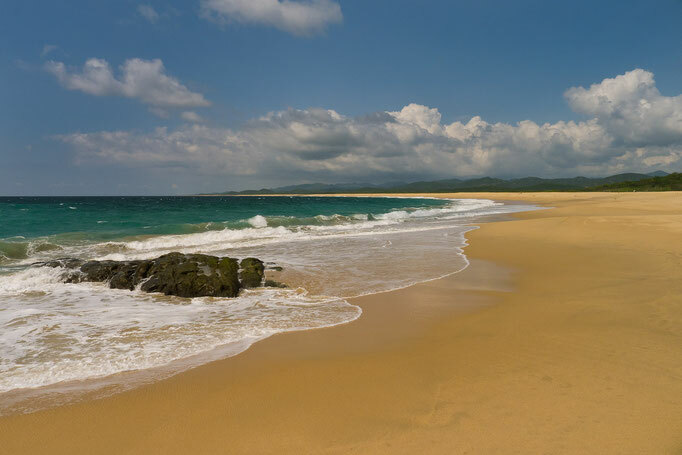 There is a nearby sea turtle sanctuary and miles of empty beaches. 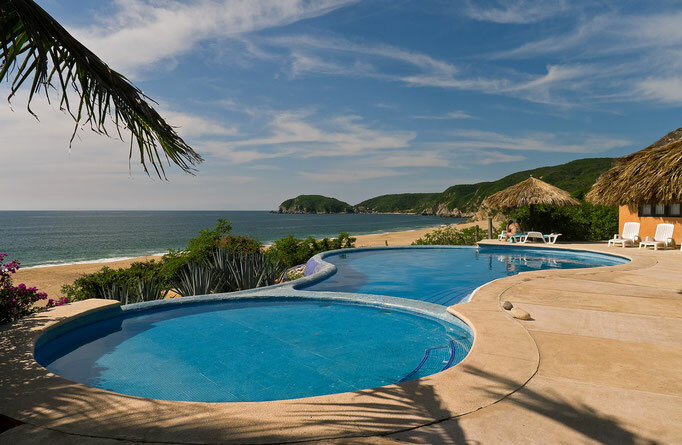 In the morning we have time to swim in the ocean or in the hotel pool, walk along the beach, kayak or just relax in a hammock. 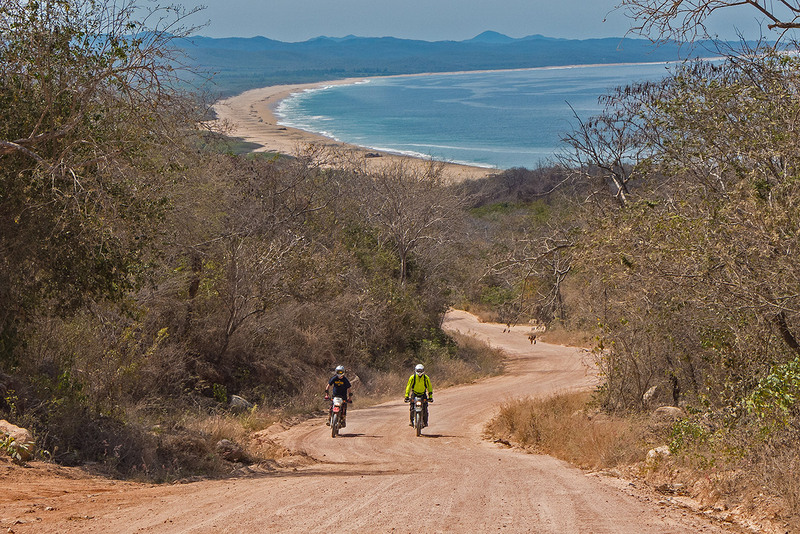 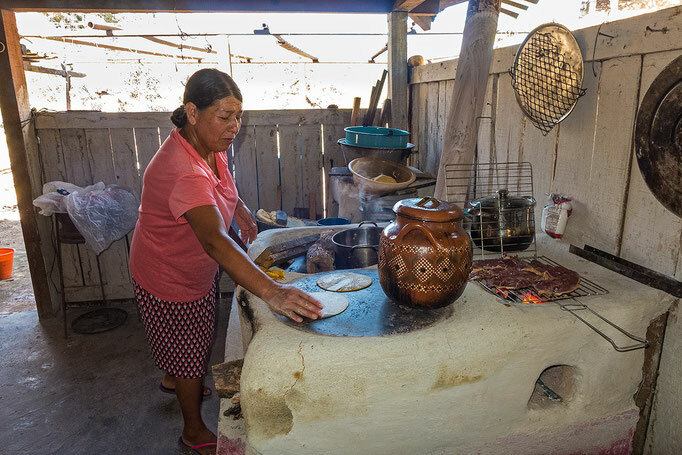 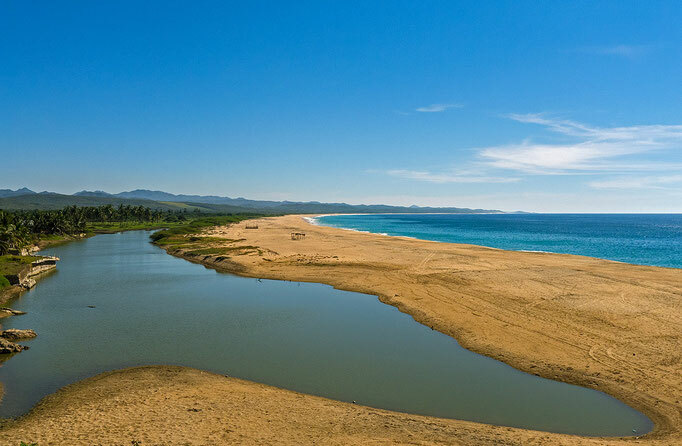 We leave the hotel and ride to nearby beaches and the picturesque fishing village, Tehuamixtle. This village is famous for its fresh Oysters. From here we then take a gravel road to the south along the remote ocean shores. 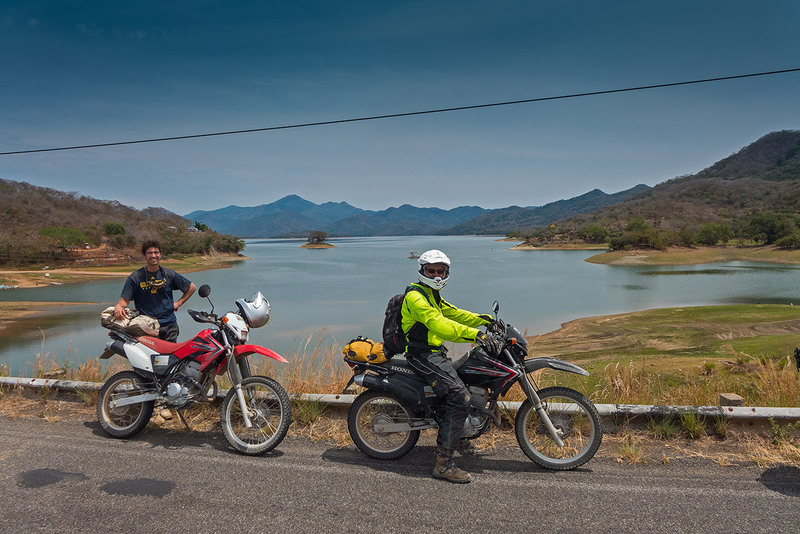 We then ride inland to a dam where we will have lunch directly on the lakeshores. After lunch we ride on good roads again to El Tuito and then return to Puerto Vallarta. Here are some stories and more pictures from our clients writing about their tour in the Adventure Rider Forum. 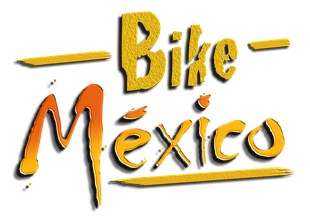 We have the option to change this tour. 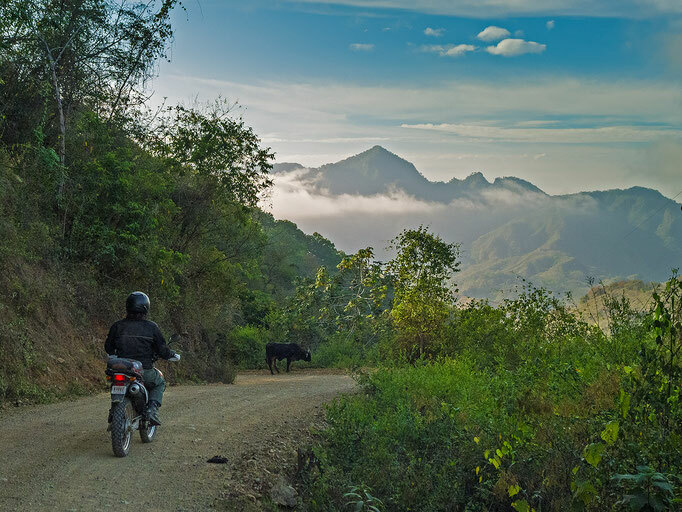 Instead of 2 nights in the mountains and one night at the Beach we would stay 2 nights at the beach and only the first night in the mountains. The first and the last night would be at the same places. 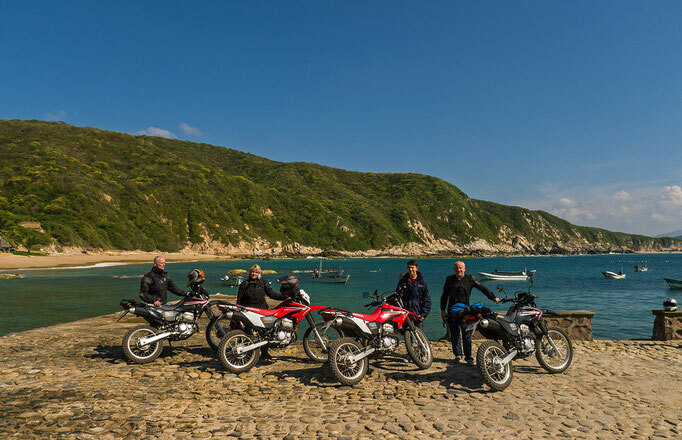 The first riding day would be the same but the others are different. 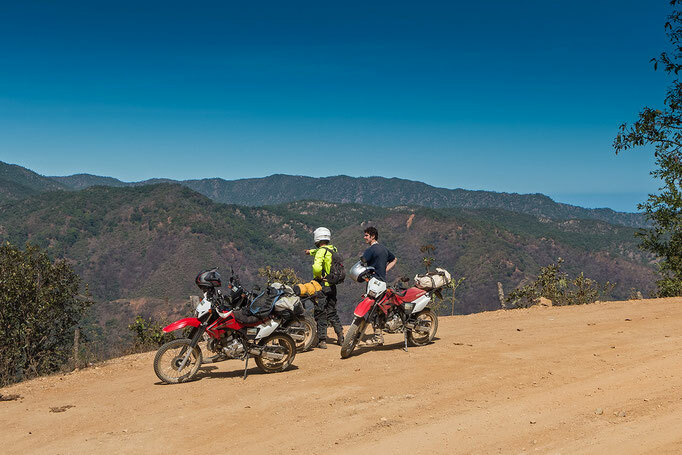 Just ask if you like to know more about this tour. Here are some pictures from a 4 day tour with 2 nights at the beach...and the first day nearly no off road. 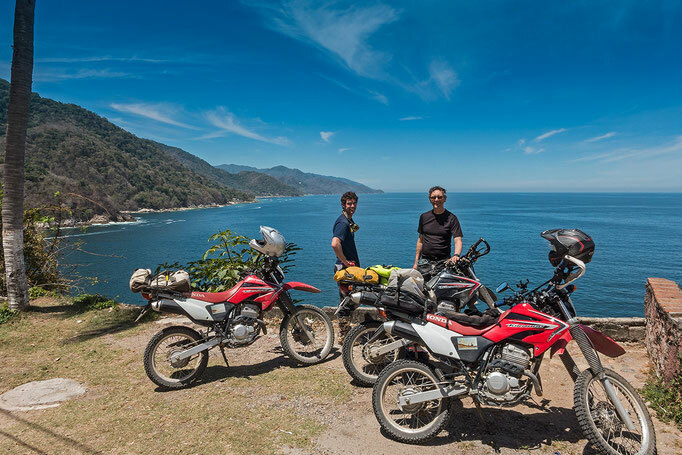 A deposit of ($ 2000.00 U.S.-HONDA TORNADO / $ 3000.00 U.S.-SUZUKI DR 650) is required at the time of pick up and you are fully responsible for any damage to, or theft of, your rental vehicle.